ABC just announced their Fall schedule as they prepare to go into this afternoon’s upfront presentation with the advertisers. 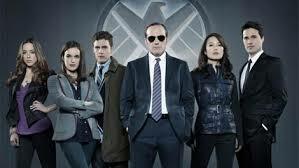 Of course the question that everybody is asking is where will Marvel’s Agents of S.H.I.E.L.D. land, and the answer is that it will be leading off Tuesday nights in the 8 PM EST timeslot. I don’t know if that move was planned in advance of NBC unveiling their schedule earlier this week, but it definitely shows ABC taking advantage of its rival’s move of ratings juggernaut The Voice. I expect S.H.I.E.L.D. to be one of this coming season’s breakout hits, and not having to compete with the singing competition show will help it out even more. Not so lucky is spin-off series Once Upon A Time in Wonderland. That show gets the brutal Thursday 8 PM EST hour which squashed two genre entries this current season (Last Resort and Zero Hour). However, OUaT in Wonderland does have in its favor that it is a more family friendly entry, something that I believe worked heavily against those other two shows in that timeslot. Still, ABC has not had much success in that hour for quite a while, so I can’t say I like this move and you have to wonder why they didn’t just pair it up with the original series (which retains its Sunday 8 PM EST timeslot). Maybe if it falters out of the gate, ABC will make that more logical move, but then scheduling shifts to help a struggling show seem to be few and far between among the networks of late. The much-maligned aliens-among-us sitcom The Neighbors received a late renewal announcement last week, but it’s getting bumped from its previous Wednesday night timeslot to land on Fridays at 8:30 PM EST. Getting moved to low-viewership Fridays isn’t necessarily a knock against the show, though, and could actually work in its favor. Sitcoms are not held to the same ratings standards as hour-long dramas because they are usually much cheaper to produce. So if The Neighbors manages to pull ratings between a 1.0 and a 1.5 on that night–which is quite doable following the decently performing Last Man Standing–then it could find itself in a comfortable spot to ride its way into a third season renewal. New shows Resurrection and Mind Games are not on the Fall schedule and it looks like they will be held over for mid-season. The former series has definite genre elements and the latter looks like it might have some genre appeal as well. You can get more detail on all of ABC’s new genre entries at this link. CBS presents their schedule on Wednesday (though the only genre show they have to offer is Person of Interest) and The CW presents its genre-heavy schedule on Thursday. Stay tuned to this site and the Cancellation Watch Twitter Site for more information on schedule announcements and for a full run down of the sci fi/fantasy shows that will air on Prime Time beginning in Fall.